Post patches for ROM hacks here. This is the version 1.0 release of Pokémon White Deluxe. The game can be fully played until the Elite Four and shortly after. However, not every after-E4 event has been fully updated. Many more changes were planned, but may only be delivered later due to time constraints - or never at all. The world's first ever Pokemon XD:GoD hack! Pokémon Blaze Black 2 & Pokémon Volt White 2 are essentially the sequels to my Black & White hacks known as Blaze Black and Volt White. 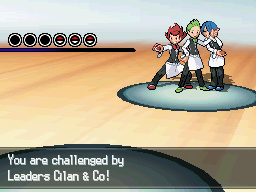 The usual rules with my hacks apply; the main feature is that all 649 Pokémon are available for capture somewhere in the game, and the trainers have all had their rosters changed in order to maintain a much harder challenge than the original game, as well as having an increased variety of opponents to fight. There's also a large amount of alternative features these hacks offer, which range from differences to the Pokémon themselves to the presence of a couple new TMs. If I'm not mistaken, these are also the first Black 2 and White 2 hacks on offer. Additionally, the two versions only differ in terms of their aesthetic differences, such as the appearance of Opelucid City, the title screen, etcetera. So basically, just pick whichever colour takes your fancy!